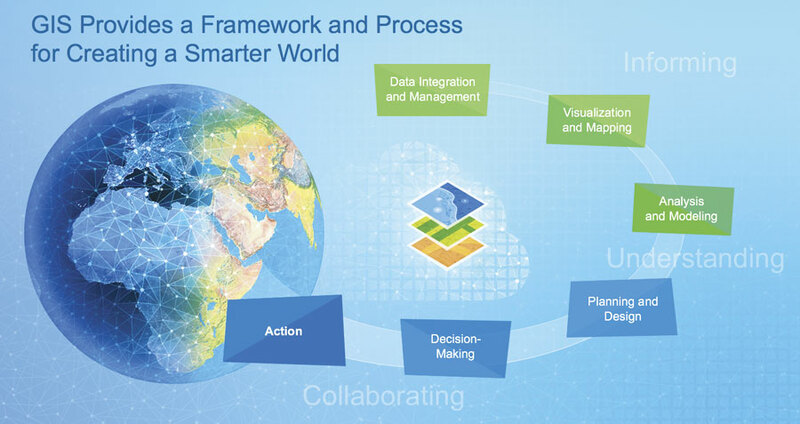 GIS is enabling a smarter world to take shape. While advances in technology are certainly facilitating this evolution, it is the people who use GIS who are responsible for making this change take hold. 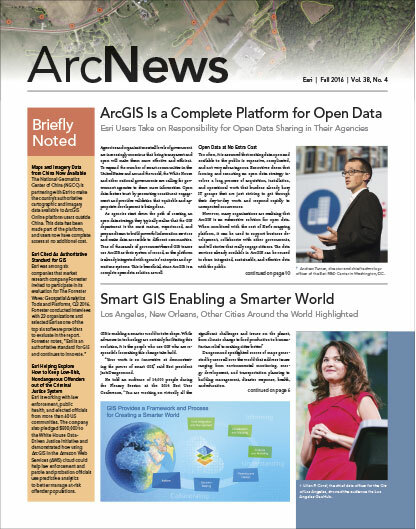 “Your work is so innovative at demonstrating the power of smart GIS,” said Esri president Jack Dangermond. Dangermond spotlighted scores of maps generated by users all over the world that address issues ranging from environmental monitoring, energy development, and transportation planning to building management, disaster response, health, and education. “GIS and maps are the common language that brings us together: they help us communicate, they help us understand, and they will help us act,” he said. “You are addressing so many of our planet’s increasing challenges,” from loss of nature and lacking biodiversity to ongoing social conflict. Lilian P. Coral, the chief data officer for the City of Los Angeles, showed the audience the Los Angeles GeoHub. “GIS—your profession, your technology—provides the framework and the process for creating…a smarter world,” asserted Dangermond. With its ability to integrate and manage data, GIS transforms abstract information into visual models—maps, charts, and 3D representations—that are increasingly informing people and organizations all over the world. The technology integrates content and provides the context for understanding why things are the way they are, allowing anyone who uses GIS to analyze the interrelationships among various phenomena. By using this technology to connect and collaborate, people and organizations can gain a better understanding of the forces that shape the world we live in today, with the goal of discovering and designing better paths toward a more sustainable future. GIS is undergoing a transformation as well. With the Internet of Things (IoT) promising to measure in real time virtually everything that changes or moves, a massive digital transformation is under way. Enormous amounts of data are now becoming more widely available, and maps have the ability to not only visualize this information but also integrate data from many sources and communicate this information to people and organizations. This, in fact, is what the City of Los Angeles, California, is doing with its Los Angeles GeoHub, which brings together disparate data that, until now, has been stored in different city departments. The online public platform encourages residents to use this data and the ready-to-use apps available at the GeoHub to improve their city. For example, GeoHub is being used to inform initiatives such as Vision Zero, which aims to lower the number of deaths and serious injuries caused by traffic collisions. 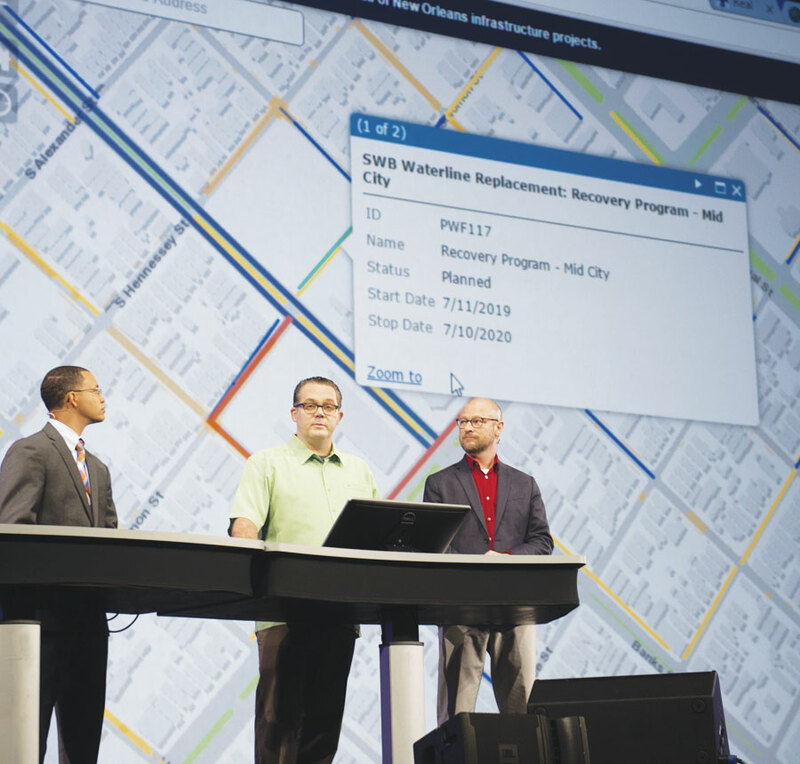 And the city’s Street Wize app uses Web GIS to pool data onto a single map so that citizens can see in-progress or upcoming construction work on their streets. Private developers can use Street Wize to examine building opportunities as well, and the city uses the app to minimize construction conflicts and encourage coordination. From left to right, Lamar Gardere, J. B. Raasch, and Gregory Hymel demonstrated how the City of New Orleans is using GIS to engage citizens in being more thoughtful about land use. The City of New Orleans, Louisiana, is conducting similarly engaging projects, though with a bit of its own flair. In an effort to be extremely thoughtful about how the water-bound city uses its land, New Orleans—together with the community—built a map that uses soil permeability, wetlands, and historical flood zones to show areas where the ground is highly absorbent and likely not ideal for development. Gardere also exhibited the city’s BlightStatus crowdsourcing web app, which in addition to educating residents about the blight remediation process also enlists citizens to report blight. After collecting street-level photos of every parcel in New Orleans, the city created a six-question survey that people can use to determine blight on individual properties. Having members of the community use the photos to report whether or not there is a structure on the property; if the lot is overgrown; and if the walls, doors, or roof appear to be damaged allows the city and citizens to get a better idea of where blight is occurring around New Orleans and what needs to be done to restore these areas. As he pointed out, having a baseline on blight before hurricane season helps New Orleans tremendously with recovery efforts. 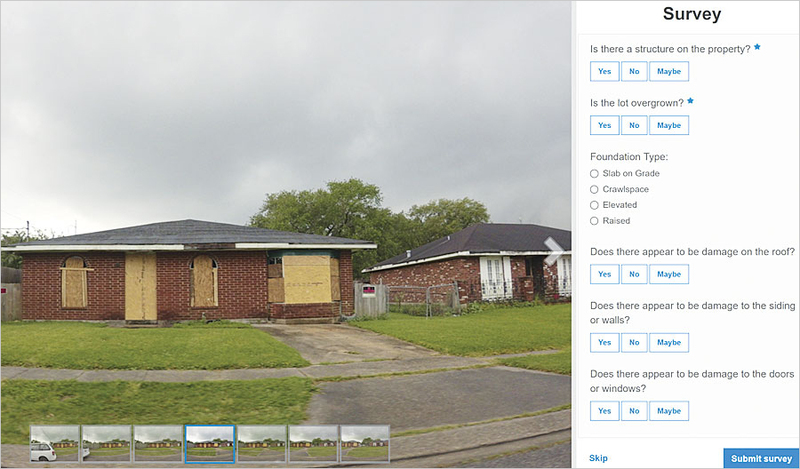 The City of New Orleans' BlightStatus crowdsourcing web app enlists citizens to report blight while educating them about the blight remediation process. Knowing how natural disasters could affect various areas is at the core of what companies like Guy Carpenter do. One of the world’s largest reinsurance brokers, Guy Carpenter helps its customers—insurance companies—manage claims and assess risk. And it uses GIS to do so. For example, Guy Carpenter used ArcGIS to visualize which neighborhoods were impacted by a massive wildfire in Fort McMurray, Alberta, Canada, earlier this year. The fire destroyed about 2,400 homes and buildings and forced more than 80,000 people to evacuate. Guy Carpenter also provides clients with a catalog of historic, mapped data that goes back 60 years and shows the relative risk of natural disasters such as tornadoes throughout the United States. “In states where tornadoes are prevalent, insurance companies need to balance a mix of locations [for policies]they have across these high- and lower-risk areas,” said Peterson. The company also has a web-based risk management app called GC AdvantagePoint that uses ArcGIS to tackle clusters of risk. “Bringing together the power of GIS and our industry knowledge…we help our clients manage a concentration of risk through stunning visualization and powerful analytics,” said Bryan Adams, senior GIS specialist at Guy Carpenter. Peterson added that insurance companies also use the app to evaluate locations before underwriting new policies. Insurance companies that use GC AdvantagePoint can even get live data feeds to real-time information, such as wildfire perimeters, so they can monitor situations that might affect their policyholders. 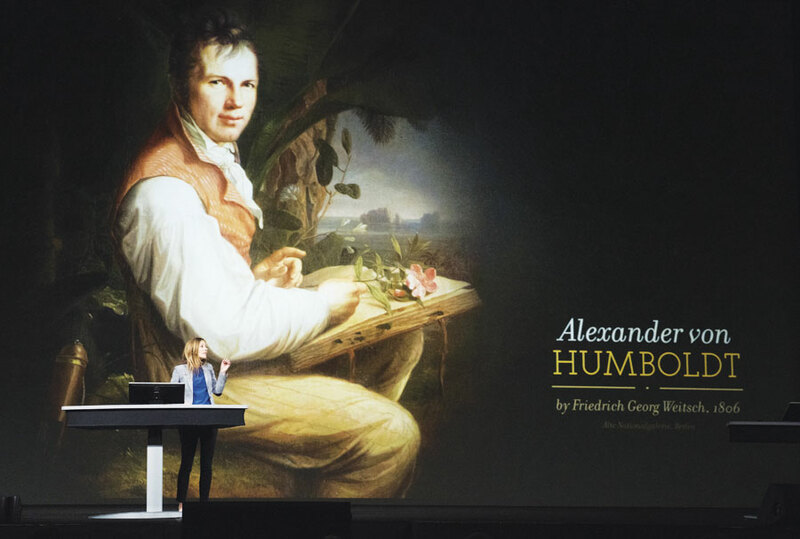 Alexander von Humboldt foreshadowed what we know today as GIS, according to keynote speaker Andrea Wulf. Although nature can be vexing to insurance companies, it was what motivated and inspired Alexander von Humboldt. The Prussian scientist and naturalist spent his life in the eighteenth and nineteenth centuries studying and writing about nature. He explored South America and Russia, observing a diversity of plants, animals, and geology. Andrea Wulf’s book, The Invention of Nature: Alexander von Humboldt’s New World, explores Humboldt’s views of nature “as a web of life.” She said one of his goals was to excite in people a love of nature. Humboldt’s writings—including his seminal book Cosmos: A Sketch of the Physical Description of the Universe—greatly influenced a number of prominent naturalists, politicians, writers, and thinkers, including Charles Darwin, Henry David Thoreau, and John Muir, Wulf said. The maps and infographics in these books, which accompany essays about science and nature, were pioneering, foreshadowing what we know today as GIS. Wulf showed examples of Humboldt’s maps, including one that focused on the transportation of precious metals around the world. Another showed the location of volcanoes and earthquakes, with green circles illustrating groups of volcanoes; green and red dots showing inactive and active volcanoes, respectively; and gray shaded areas displaying where earthquakes had occurred. 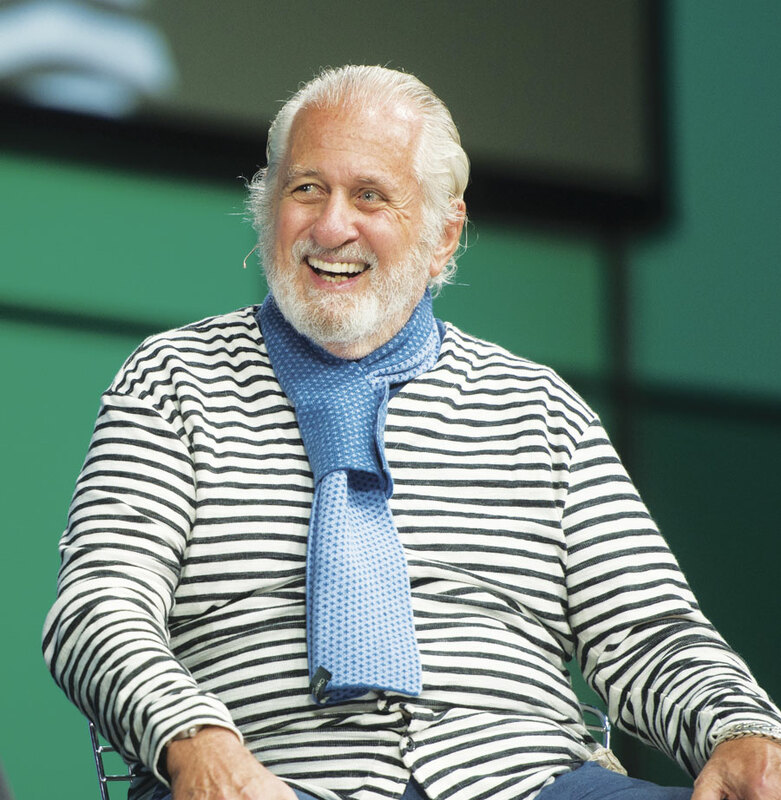 According to Richard Saul Wurman, the only way humans can bring about a better world is to embrace the individual way everyone understands things and put together those idiosyncrasies, like GIS does. His new book, Understanding Understanding, will be published next year and feature GIS and mapping as a fundamental language for understanding. Just as Humboldt cultivated and shared his knowledge, so should GIS practitioners.